Edited and graded in DaVinci Resolve 14, writer and director Hasraf ‘HaZ’ Dulull’s feature length film “The Beyond” was shot exclusively with digital film cameras from Blackmagic Design, including the URSA Mini 4.6K and URSA Mini Pro. HaZ completed a first pass grade on Resolve to communicate the tone and mood to colorist Max Horton, who then carried out the Dolby Vision grade at Dolby London. 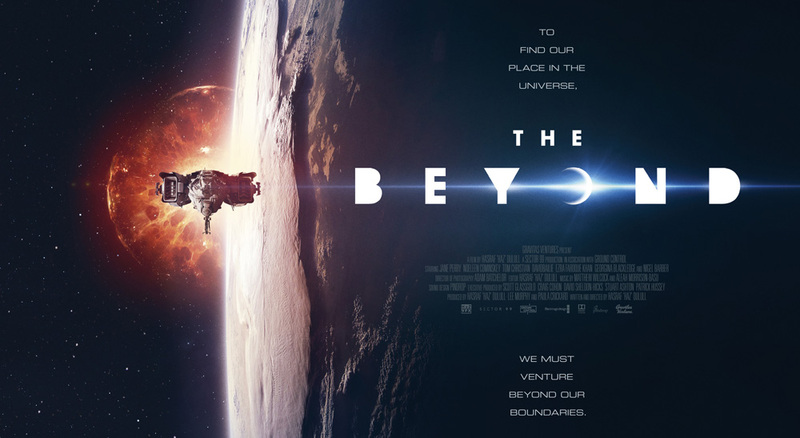 The Beyond is distributed by Gravitas Ventures and is available worldwide on iTunes. Fremont, CA – February 5, 2018 – Blackmagic Design today announced that writer and director Hasraf ‘HaZ’ Dulull, has completed his first feature-length film, ‘The Beyond’, which was edited and graded in DaVinci Resolve 14. Furthermore, the sci-fi documentary film was shot exclusively with digital film cameras from Blackmagic Design, including the URSA Mini 4.6K and URSA Mini Pro. Product photos of DaVinci Resolve, Blackmagic URSA Mini 4.6K, URSA Mini Pro, URSA Mini Shoulder Kit, Blackmagic URSA Viewfinder, and all other Blackmagic Design products are available at https://www.blackmagicdesign.com/media/images.